Halloween is fast approaching, which means it’s time to pick up the candy, costumes and of course, the perfect pumpkin for carving. What’s scarier than a spooky Jack-o’-Lantern? The thought of cleaning up the messy kitchen after carving it! This Halloween, try getting crafty with a new pumpkin decorating tool – Sharpie Extreme permanent markers. Sharpie Extreme delivers bold colors on variety of surfaces, including plastic, glass and wood, so when it comes to decorating pumpkins, there’s no problem and no mess! Even better, Sharpie Extreme resists fading when exposed to extreme outdoor weather conditions like rain, snow and mud, helping your spooktacular designs last all month for the big day. Sharpie Extreme permanent markers have high-contrast ink that resists fading when exposed to harsh UV rays, rain, snow and even mud. 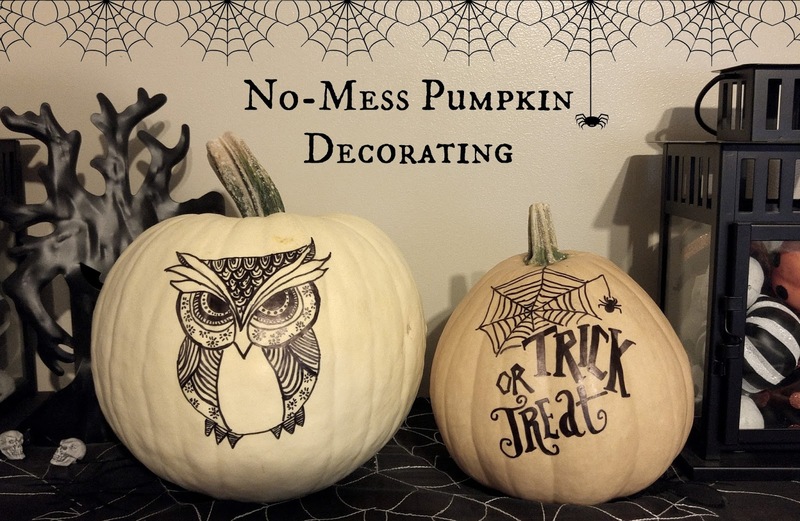 They also feature a fine, durable tip that allows you to create bold color and lines on most surfaces..even pumpkins and gourds! If you have a kid in sports, this is ideal for their equipment. No need to worry about their name fading on their sports ball or gear! The suggested retail price is $10.76 for a 4 pack of either all black or assorted colors (red, black, blue and green). 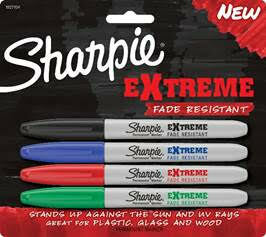 Purchase the Sharpie Extreme Permanent Markers, Black, 4-Count on Amazon for $7.99 & FREE Shipping on orders over $49. Purchase the Sharpie Extreme Permanent Markers, 4-Pack, Assorted Colors on Amazon for $5.75 & FREE Shipping on orders over $49. I have been toying with the idea to draw on pumpkins this Halloween and once I received the Sharpie Extreme markers, I knew I had to! I swung by the Amish farm and picked up a pumpkins for $0.75 and started creating! Since the markers are permanent, I can put the pumpkin outside and not worry about the colors coming off! You can easily draw on the pumpkins in pencil first to get your base shape on it. I drew just the basic owl on my pumpkin at first and then with the Sharpie in hand added all the unique details and designs to his body. The same for the Trick or Treat, I drew the words on with a pencil and then slowly filled the area with the marker. Then I freehand drew a web and added a cute spider at the end. The possibilities are endless! I still have one more white pumpkin and toying with the idea to make it more of a Harvest/Thanksgiving theme. I think if I keep it inside it should last longer with the constant temperature, rather then the cold to hot to iceberg temps we get here outside!